An EAP is this wonderful little acronym that stands for Employee Assistance Program (aka EFAP or Employee & Family Assistance Program). Many people contact an EAP if they need counselling (typically, an employee and/or family member can attend counselling for a specified number of sessions); however, most EAP providers provide additional services that are hugely invaluable for the average family. I have used their services several times and can attest to how they have helped me and my family. Important Note: This is my journey from a personal perspective and does not necessarily represent the views of my employer CoreHealth Technologies. As I reflect on my life’s journey as a ‘40-something’, I realize it’s not unlike most people’s lives. It’s ok to recognize you need a little extra support or simply don’t have the time or know-how to find what you are looking for… so why not use it? These 10 life stages outline where I have personally used the services of an EAP or those that I wish I knew about or had the chance to. Infanthood – Since I was a baby, I don’t remember much; but, I’ve covered it in Having Children below. Childhood / School – Growing up can be tough. Navigating friendships, bullying, the digital era, parents divorcing and all the challenges in the life of a kid today, EAPs can provide counselling, resources, support networks and more. For example: you can call an EAP and say “I would like a list of all colleges with a Human Resources program in a specific geography”. The EAP will gather the results and forward a list to you in a few days. I did this when I was looking for a list of daycares and it saved me the time it would have taken to research on my own (Google is an amazing resource but researching can be time consuming). Career – Not sure what you want to do as a career? (you’re not alone) Perhaps you need to be pointed in the right direction. Some EAPs provide career counselling (identify your strengths, weaknesses and interests) and support, or they will point you in the direction of someone who can. Marriage / Divorce – combining assets, financial planning, and (unfortunately) getting divorced, etc. are part of life (kudos to those lucky couples that have never been through a divorce! – I’m not one of them). You can call an EAP to get help with health, finances, legal issues, counselling and more. I felt fortunate to have EAP support during my divorce. Buying a Car or House – Did you know you can call an EAP and ask them to do research on the most fuel-efficient cars within a budget-range? Yep, you can. Perhaps, you need to consider all the factors of owning a home. You got it! Call an EAP to save time, money and headaches. Health – EAPs provide extensive resources on how you can live a healthier life. If you have a health issue, in addition to working with your healthcare professional, contact an EAP (typically via phone, website or a mobile device) for resources and additional support. Having Children – This was a biggie for me (I had no clue what I was in for). Everything from pregnancy, caring for a newborn, post-partum depression, fussy personalities or eaters, parenting challenges – the list goes on. Before you Google, login to your EAP account and see what’s there first. You get instant access to a variety of well-researched information, videos, links and more. I contacted the EAP to get a list of local resources that provided Education Assessments. Yes, I still did a Google search but the EAP list included resources that I didn’t find on the web. Parent/Elder Care – Fortunately I’m not quite there yet, but have friends whose parents are getting elderly and ill. Call your EAP for a list of assisted living or long term care facilities or check out resources on how to support your aging parents. Maybe you need to talk to someone about surviving the ‘sandwich generation’. Retirement – I’m not ready for retirement but know people who are and it can be a challenging time. When so many of us are defined by what we do, many people wonder “what do I do now that I’m not working?” Perhaps you need help financial planning, deciding where you want to live or about volunteer opportunities (to keep you active). An EAP can help. Plus many more – this is just a quick brainstorm of the services I’m personally aware of but there are many more. Check out the resources noted below to help you find an EAP provider. More recently, since I started working at CoreHealth Technologies, I learned that leading EAP providers offer Corporate Wellness programs to their client organizations (I can proudly say many of these leading EAP providers are CoreHealth clients). CoreHealth’s Corporate Wellness Platform is used by EAP and wellness providers, insurers and their wellness divisions, group benefits brokers and HR consulting firms, from around the world, to power their corporate wellness programs. If you are corporate wellness provider looking to streamline delivery of corporate wellness programs, contact CoreHealth. 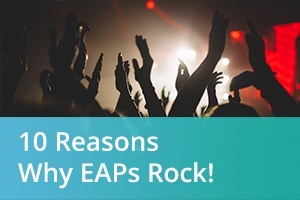 HOW DO I KNOW ABOUT EAPS? Fortunately I have worked for many organizations that realize the value of providing EAP services to employees (costs are very affordable). I recognize the average employee may not know all the services available with an EAP; but over my career, have gained a broader knowledge and felt compelled to share the benefits of this invaluable resource. 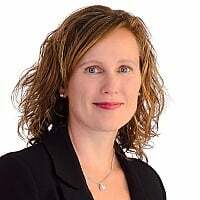 Cindy Danielson has over 20 years of experience in human resources (including group benefits in Canada and the United States), CRM, project management and sales and marketing. Prior to joining CoreHealth, Cindy was a group benefits broker where she got a firsthand view on how corporate wellness and employee assistance programs make a positive impact on workplaces. Cindy has worked in software/technology, insurance and digital marketing and is personally committed to health and wellness. Employee Assistance Trade Association – to find an EAP Provider via EASNA – the employee assistance industry’s trade association. Google search terms: Group Benefits Broker or Employee Benefits Broker. The Benefits Alliance Group – to find a Canadian Group Benefits Broker to assist you with finding an EAP provider. Benefits Advisor Network – to find a United States Group Benefits Broker to assist you in finding an EAP provider.